Photo by Anna Meassick | Student Senate made the decision to change terms of student organization funding. 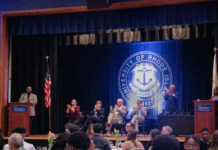 The University of Rhode Island Student Senate has altered their policy on how student organizations receive funding following claims that their funding policies violated the First Amendment. Several groups that had been deemed as political or religious by Student Senate were denied funding. Those groups, as well as a First Amendment advocacy group not affiliated with URI, saw this as a violation of their constitutional rights. There are four student organizations on campus that came together to pressure Student Senate to revise their policy. Those organizations included BridgeUSA URI, Students for Sensible Drug Policy, URI Democrats and College Republicans. These organizations referred to themselves as the coalition. 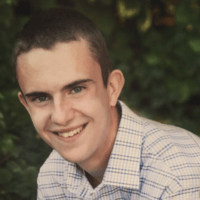 The First Amendment advocacy group, the Foundation for Individual Rights in Education (FIRE), was made aware of the issue by Sam Foer, the President for URI’s chapter of BridgeUSA URI. FIRE is a national organization that’s mission is to protect the constitutional rights of students and faculty members at universities across the country. “We decided after continued reluctance from Student Senate to even look at the matter, to have FIRE send a letter,” Foer said. Student Senate in the past had been under the impression that funding political or religious groups would violate their 501(c)(3) tax-exempt status. The 501(c)(3) status is a section under the Internal Revenue Code of the IRS stating that a non-profit group is tax-exempt if they do not engage in political or legislative activities. Adriana Wilding, the president of Student Senate, said that her predecessors did not change the bylaws despite the original pressure from the coalition. The previous administration consisted of President Ryan Buck, Vice President Ro Percy, Finance Chair Samantha King and Student Organization Advisory and Review Committee Chair Austin Cordova. They did not change the policy because they generally thought it would jeopardize Student Senate’s tax exempt status. Zach Taylor, the finance chair of Student Senate, confirmed that in the past members of Senate had been concerned that if groups deemed political or religious were to receive funding, it would jeopardize Student Senate’s 501(c)(3) tax-exempt status. However, Taylor said the previous administration of Student Senate should have been more focused on how they could change their bylaws to help student organizations. In a letter that FIRE sent to Student Senate, it explained why funding political and religious groups would not jeopardize Student Senate’s tax-exempt status. “Individual students, student groups and faculty members may engage in partisan political speech when such speech is clearly separate and distinct from the institution’s views or statements,” the letter read. FIRE sent another letter to Student Senate saying that their practices of denying funding based on religious or political status were unconstitutional. FIRE also said they understand Student Senate must undergo a process for revising their bylaws, but were concerned that students’ rights were still being violated while they worked to find a solution. The new procedure for requesting funding will be similar to the previous procedure, according to Wilding. In the past, student groups that had a political or religious affiliation could not be funded. However, this is no longer the case. In a memorandum from Taylor to all Student Senate recognized organizations on-campus, it explained that groups will receive recognition or not. Then, all student organizations that are recognized by Student Senate will be able to apply for funds through contingency grants or receiving a budget. Appeasing FIRE and the coalition, groups previously viewed as political or religious can apply for funding. Wilding does not believe that the new funding policy will jeopardize Student Senates tax-exempt status. Now, under the new bylaws, if a group does not follow the tax code, Wilding said the group would likely have their funding revoked. Taylor said eliminating categories of recognition for organizations, such as being recognized as political or religious, was a necessary change to their bylaws. “These categories have given us several problems to deal with and we believe that in order to move forward in an appropriate direction, we needed to first eliminate all categories of recognition,” Taylor said. 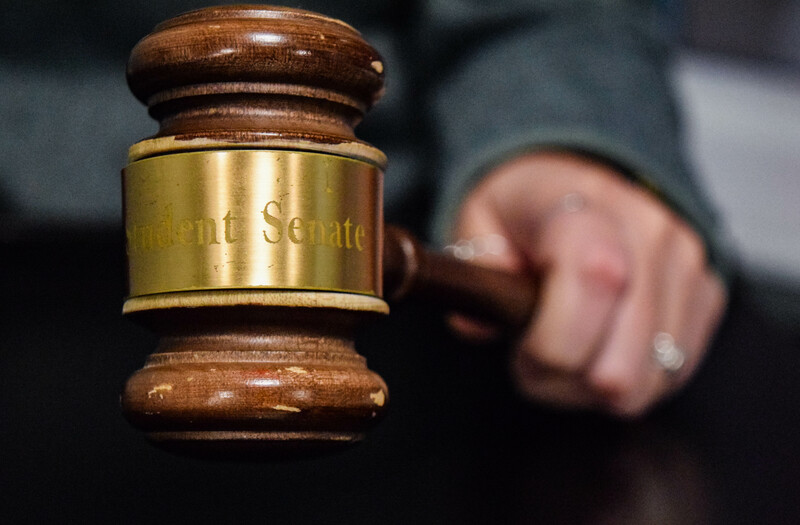 The coalition believed that the change to Student Senates’ bylaws was necessary in order to assure all student organizations were treated equally, as well as constitutionally. According to Taylor, not allowing political or religious groups to receive funding made it difficult, to an extent, for such groups to operate. “An organization directly does not have opportunities to grow when the Student Senate categorizes them in such a way that they cannot receive funding,” Taylor said. This change will be fully implemented by the new re-recognition process in the spring semester. After that, all student groups have the opportunity to apply for funding.